If you are having a wild animal problem, please select your city or town as listed above. We serve almost the entire state of Montana, but we have a different phone number for each area. Our trained wildlife control technicians can handle your animal pest problem in a prompt and professional manner. Please select the city nearest to your location from the list above, and you will find a Montana animal control expert to take care of your problem once and for all. There are many Montana pest control companies out there, but not all of them are licensed and insured professionals. Make sure that you hire a competent expert for your Montana animal services needs. A good pro will be courteous and friendly and take the time to answer your questions. Always make sure that the person you hire is state licensed for MT animal control, and it's always best if they are insured and offer a written guarantee on their work. Perhaps you are having a problem with animals in your attic and you can hear them scratching or thumping. This could be caused by a family of squirrels or raccoons who have chosen to make your home their home. Rats and mice also cause scurrying and scratching noises in the middle of the night, and may chew on your electrical wires. Montana wildlife such as raccoons cause a lot of damage to property. They often rip open holes to get inside homes where food or shelter are, and most animals can cause biohazardous conditions in your home or attic. There are many animals in Montana, including various species of snakes and bats. 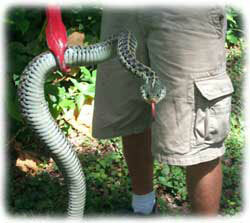 If you see a snake and you don't know whether or not it is dangerous, give us a call, and we can remove it safely. We know all of the species of Montana snakes. 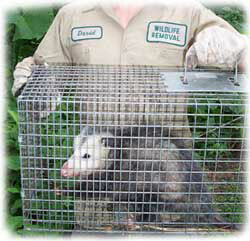 Opossums, moles, and other animals that can damage your lawn; we are the experts at capturing and removing them. Give us a call for a price quote and more information. If you need assistance with a domestic animal, such as a dog or a cat, you need to call your local Montana county animal services or SPCA for assistance. They can help you out with issues such as stray dogs, stray cats, spay & neuter programs, vaccinations, licenses, pet adoption, bite reports, deceased pets, lost pets, local animal complaints and to report neglected or abused animals. You can find the proper phone number for the county or town near you in your local blue pages or maybe on this site. Montana became the 41st state in 1889. The state capital is Helena, (the "Queen City of the Rockies") and the largest city is Billings. The state's nickname is "Big Sky Country", but it's also known as the "Treasure State" and "Land of Shining Mountains". Montana is mostly composed of the Great Plains on the east side, and the Rocky Mountains on the west. Montana is the fourth largest US state, with a land area of 145,552 square miles. Much of this land is of extreme and pristine beauty. Montana is home to prominent national parks, including part of Yellowstone, and Glacier National Park. Montana has more native American reservations, seven, than any other state, and was originally home to several tribes, including the Bannock, Blackfoot, (Siksika), Crow, Cheyenne, Shoshoni, and Nez Perce. Lewis and Clark were the first Europeans to enter Montana, in 1805. The state animal is the Grizzly Bear (Ursus arctos horribilis), but our animal control experts won't be trapping any of these! Call the Montana Department of Fish & Game if you have a grizzly bear problem, and remember, DON'T FEED THE BEARS! The state flower is the Bitterroot, tree: Ponderosa Pine, bird: Western Meadowlark, fish: Blackspotted Cutthroat Trout, gemstones: Yogo Sapphire & Agate, butterfly: Mourning cloak, and state motto: "Oro y Plata" (gold and silver). I noticed that you list Shelby on the areas that you cover, but I couldn't find a phone number on your website. We have had some critters running around in our ceiling for a while. I would say there are only one or two, but I'm not sure. We do know the entrance and exit location. How much would it cost for someone to come out to fix the problem? I have some sort of animal stuck in the wall of my house & i'd really like to have it removed before it dies. Please help! I don't know where to start.